Home health care is a very personal industry to enter into, and as such, the potential liabilities faced by business owners are often great. Because home health care companies typically handle medical care for the elderly or those in need of constant supervision, an accident can lead to a life or death situation. 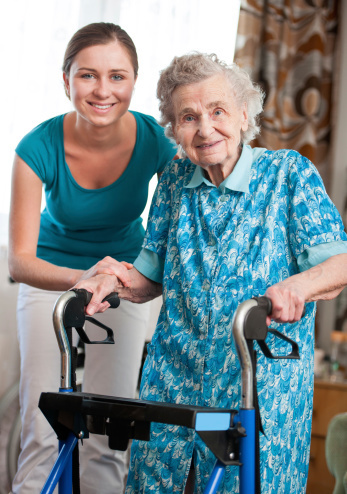 As such, business insurance is a must for home health care companies and their employees. Without adequate coverage, a slight mistake may end up costing a care provider not only financially, but also in terms of a reputation within the medical and business communities. When caring for patients in the home, a myriad of potential problems exist, and unfortunately, not all of these problems are within the control of your home health care employees. For example, a patient may be administered the wrong medication or the wrong amount of medication, but that same patient may also develop new or worsening symptoms, even if proper treatment is provided. In such cases, a family member of the patient or the patient him or herself may choose to file a lawsuit against your company to gain compensation for damages. When this happens, your home health care business may be in jeopardy, even if the resulting injury to the patient was through no fault of your employee(s). Business insurance in the home health industry can provide a protective barrier between accidents or mishaps and financial loss. Likewise, business liability insurance may be able to cover expenses in the event that a lawsuit is successful against your company following an injury. 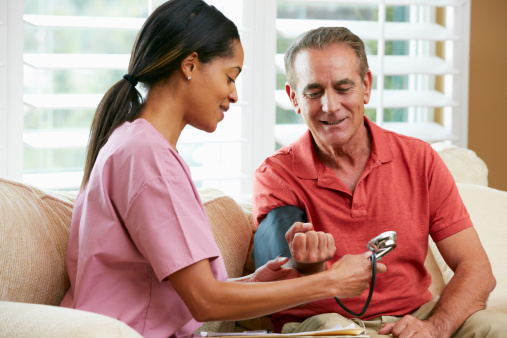 When seeking out insurance coverage for a home health care company, you’ll want to make sure that you have all of your bases covered. Because, as mentioned, the home health care industry is a very personal one that is regulated by a variety of laws that may not pertain to other industries, including HIPAA laws. Your business insurance policy needs to take into account that patient treatment may include not only direct interaction with a patient, but also the patient’s confidential medical information and adequate protections need to be included in the policy. If you currently run a home health care company and you’re concerned about the level of insurance you currently carry, or if you’re interested in starting a home health care company and you’re not sure what types of insurance protections you need to have in place, Poms & Associates can help. As a leading provider of business insurance to a number of specialty industries, Poms & Associates can guide you through the sometimes-complex world of insurance, allowing you to have peace of mind in knowing that your company will be protected now and into the future. To learn more, contact Poms & Associates using its convenient contact form. Andrew Rusnak is an author who writes on topics that include business insurance and medical business development.